From your first visit to our website to the moment you close the door of your holiday cottage for the last time, we want every stage of your holiday at a Sykes cottage to be special. We personally select and approve the thousands of properties we have available to rent and know that it is our attention to detail which makes such a difference. Feedback is important so we ask each customer to tell us about their experience and to rate their holiday in terms of accuracy of the listing, cleanliness, comfort, facilities, location and whether they would recommend the cottage to their family and friends. We read all customers' comments, listen to what they tell us and then work with owners to improve, wherever we can. If they wish, holidaymakers can also leave their feedback on TripAdvisor or Feefo. In 2017, over 94% of our customers told us they would recommend Sykes Cottages. 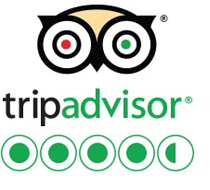 We currently have over 20,000 reviews on TripAdvisor. As you can see from our TripAdvisor profile on FlipKey, the overwhelming majority of these reviews are either four or five stars. 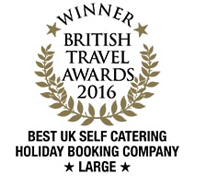 In 2017 and the previous five years, Sykes Cottages received 'Rated Excellent' awards from TripAdvisor. We currently have over 20,000 reviews on Feefo. As you can see from our Feefo profile we have been awarded 4.6/5 stars in the past year.